When picking out a shower head, I had no idea how many options there were. 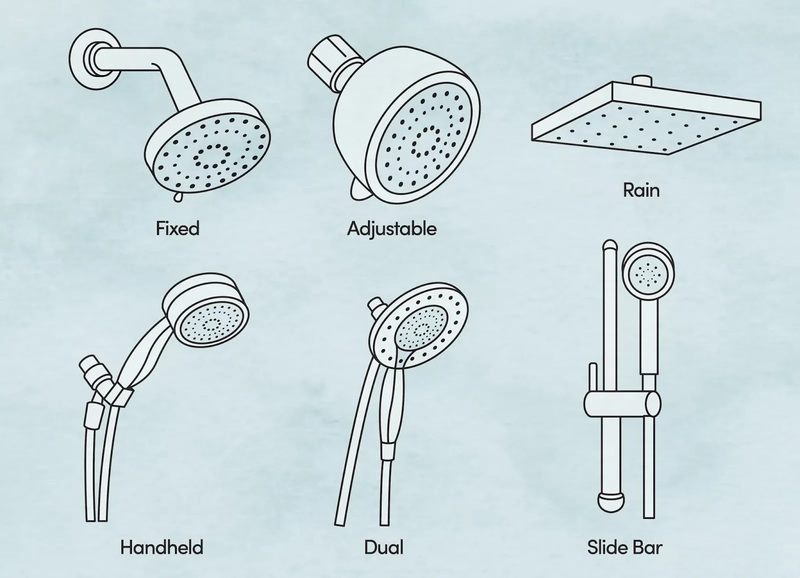 You can choose between a fixed, adjustable, rain, handheld, dual or sliding shower head. 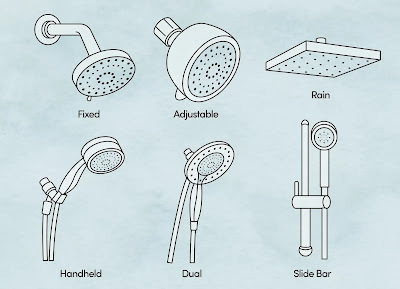 Each brand and type of shower head also have different options within them, like preset options, water flow and other personal adjustments. 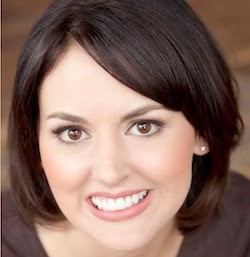 If you want more information on what to look for and how to install, visit How to Change a Showerhead. 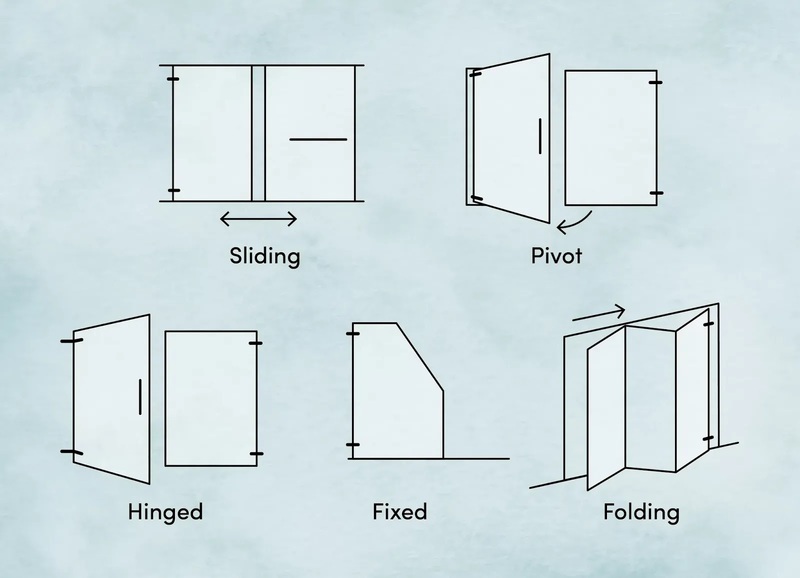 Shower Doors can be another complicated matter. 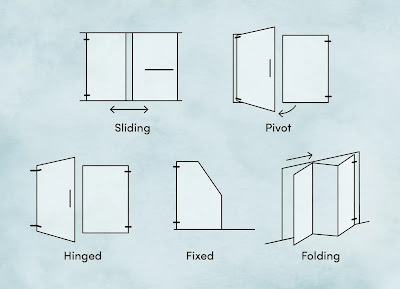 There are a variety of shower door types, like sliding, pivot, hinged, fixed, and folding. 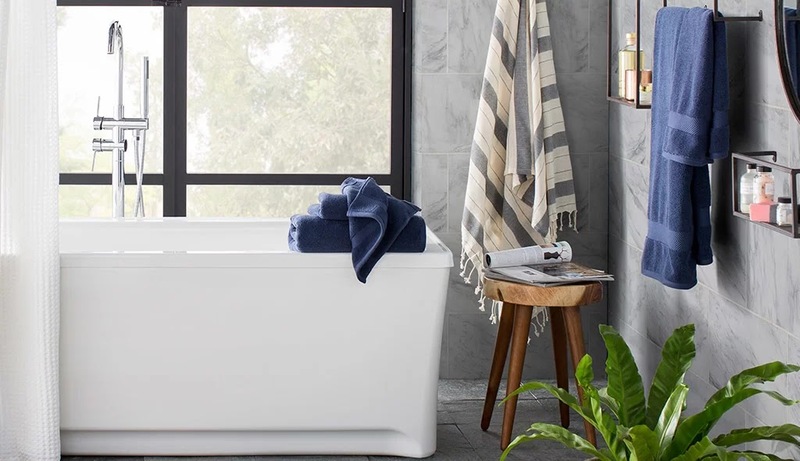 Choosing the right one for your space and installing are important aspects of your bathroom renovation. So, if you are apprehensive about your shower door choice, visit How to Install a Shower Door for the information that will help you get started. 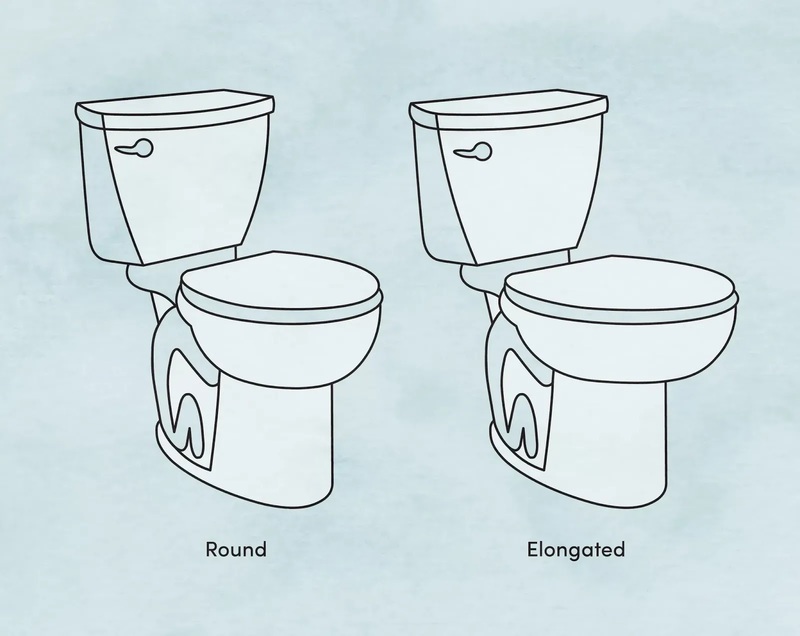 Oh, how we underestimate the value of choosing the right toilet! 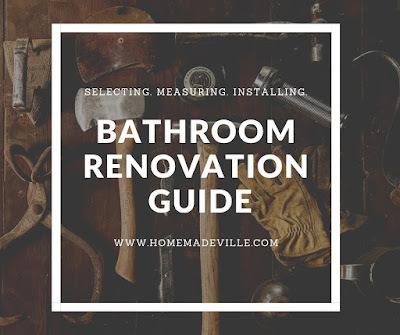 We often want to rush through this part of the bathroom renovation because it is not the most glamorous aspect of our renovation, but because of the practicality of your toilet, it is important not to rush past this one. 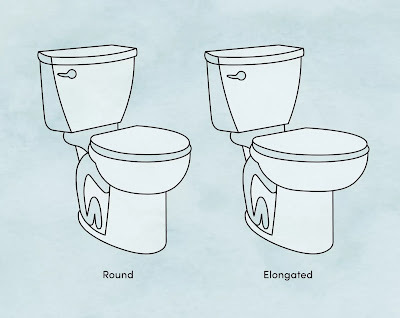 Make sure you know how to choose and measure the right throne for your space. You won't regret it if you do. 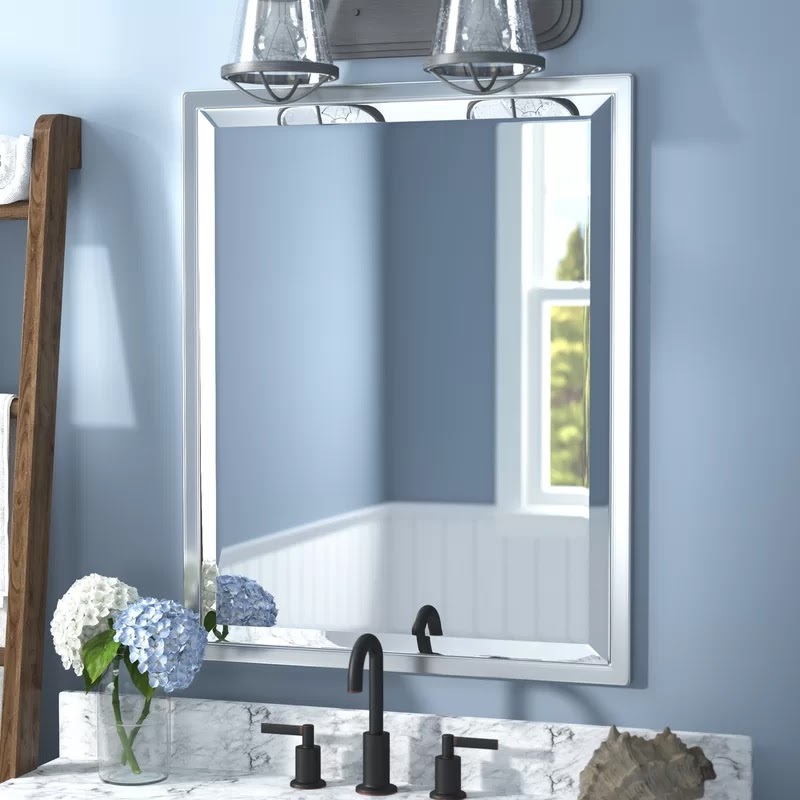 The mirror you choose for your bathroom renovation has the potential of bringing so much style to your new space. The fabulous Chip Wade teamed up with Wayfair to create a guide on installing your bathroom mirror: Chip Wade's Wayfair Guide to Hanging Your Vanity Mirror. 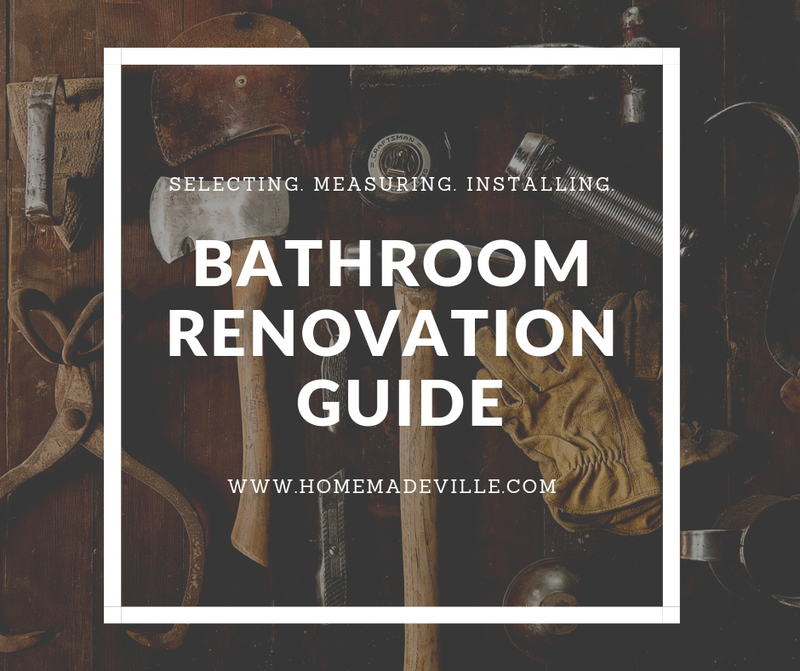 It will give you a peak into how to hang that heavy, but important, element for your bathroom renovation. I hope the information provided here will help ease your mind as you make all of those important decisions for your bathroom renovation. Be on the lookout, I will be posting my parents' bathroom renovation soon, and it is a MUST SEE!